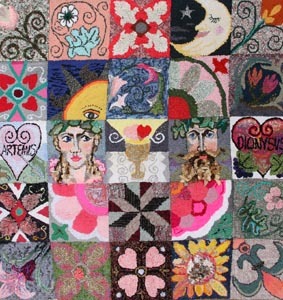 This page includes some of our past group projects and events. 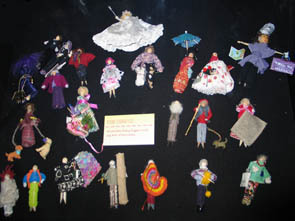 Peg people made for one of our exhibitions… each member was asked to make a peg to describe themselves. 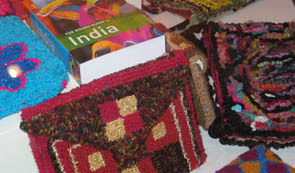 As part of our world theme for the exhibition, Karen Griffiths taught us how to make Indian inspired bags.karen has a web page at www.karengriffiths.webs.com where you can catch up with her research. 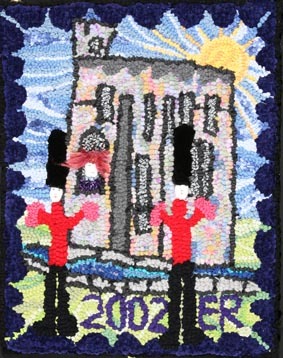 For the Queen’s Jubilee celebrations we all made rugs from designs by local school children. 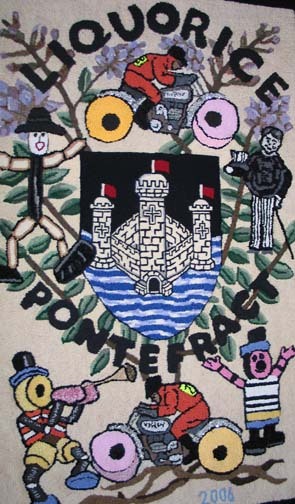 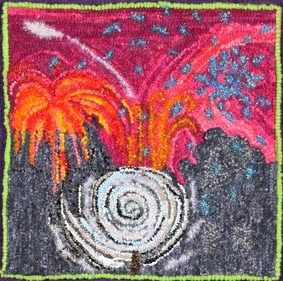 A rug which told the story of liqorice was designed by Diane West and Margaret Kenny for an exhibition at Pontefract Museum. 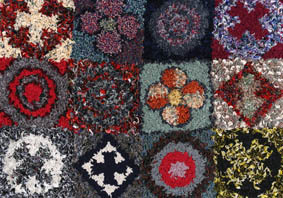 Other projects have included a rug hooked plate rack of Clarice Cliffe inspired plates, small rug pictures featuring all the months of the year, and “tall and skinny” a series of small squares worked by each member of the group, and then sewn into a wall hanging.